Well maintained custom 2-story home in friendly Meadowbrook community. Minutes walk to shops, lightrail Mineral station, running/cycling trail. Spacious home featuring oak floors, gourmet kitchen with enormous island and granite countertop, butler's pantry, tile roof and south facing 3 car garage(oversized).The master suite with its private balcony, his and her walk in closet. Main floor study with build in shelf, laundry room with fully build carbinets and brand new washer and dryer. 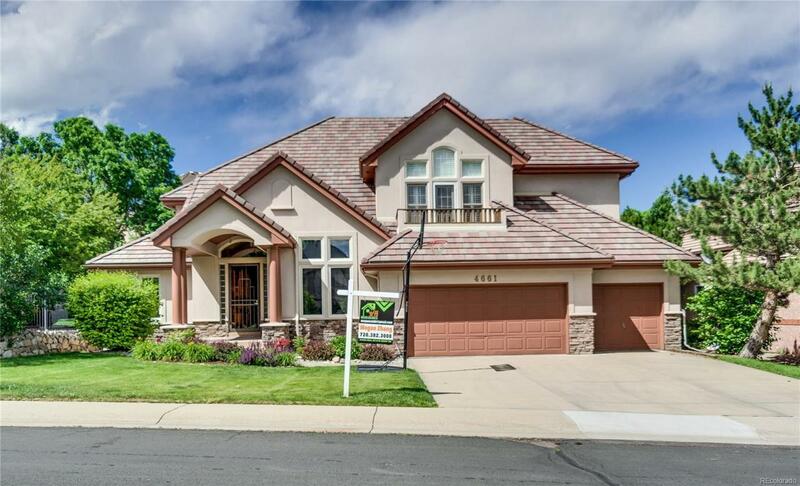 Fabulous public school, convenient location to many private schools, such Colorado Academy, Mullen, Valor. Agent owner. Offered by Zhang Real Estate Group Inc.